Businesses all across the world are becoming more and more reliant on IP networks for managing internal operations. As technologies advance, there is an increasing demand for the convergence of data, telephony and video over a single IP network. In this article, we explore the importance of computer networks, and take a look at some of the most effective solutions that will not only enhance day to day performance, but also provide secure solutions for a comprehensive business continuity / disaster recovery plan. A computer network is a collection or group of devices that are connected via communication channels. They allow users on connected devices to communicate, and share resources such as access to hardware, software and data easily, securely and privately. The internet is also a type of global public network which is a vital asset for many businesses worldwide. Solar communications provide connectivity solutions for the internet, click here to find out more about what we do, and how this helps with business continuity and disaster recovery. 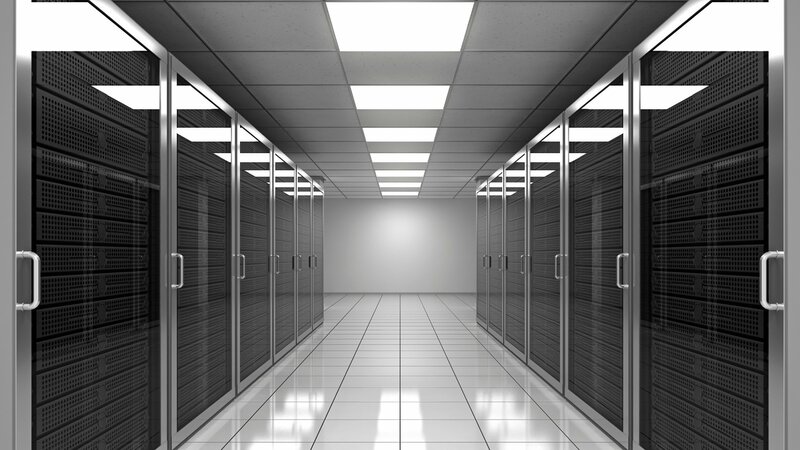 Many companies rely on a computer network for day to day operations which directly affect the level of service they are able to provide to their customers. This means that if the network fails, downtime would be considered a disaster due to the consequences from not being able to perform essential duties and the additional risk of compromised or lost data and reputation damage. Not to mention the loss of revenue. This is why network failure is an integral scenario in any BC/DR plan, as the costs of not having a plan in place far out weigh the costs of having a plan in place. In 2007, Los Angeles International Airport (LAX) experienced network failure from a single faulty network card, which lost them access to their national systems, databases and LAN (local area network). This eventually led to total system failure which resulted in massive delays for more than 17,000 passengers., many of whom were stranded. It took technicians over 10 hours to restore the network. 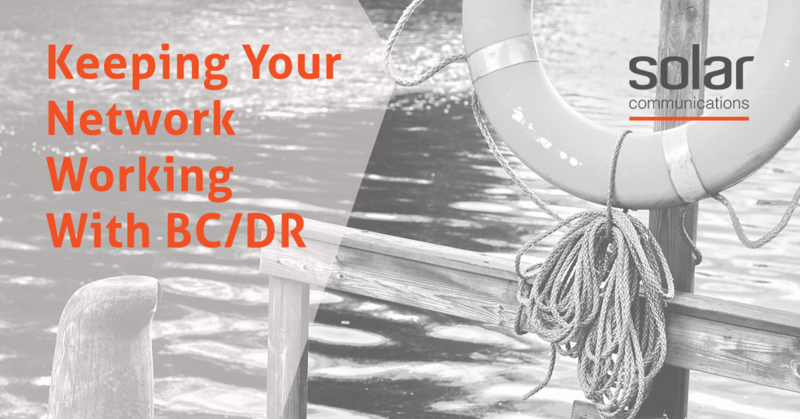 By identifying the reasons for network failure, a business can prepare for these scenarios in their BC/DR plan. The most common reason for network failure is power outages. Therefore, steps need to be taken to ensure there is a back up power supply in place or power is sourced from a variety of different locations, or that the network can be replicated in an alternative location. As time passes and technology progresses, organisations make changes to the network. To protect against disasters, the network should be properly inventoried to show it’s exact state at regular intervals, monitoring services we are proud to provide to all of our customers. Processes especially need to be in place to ensure that patches, address changes, access control lists, and new network equipment are incorporated into the disaster recovery network as changes are made. Network redundancy refers to the addition and alternation of network devices, equipment and communication mediums to ensure continued availability. It serves as a backup mechanism for quickly swapping network operations onto redundant infrastructure in the event of unplanned network outages. Typically, network redundancy is achieved through the addition of alternate network paths, which are implemented through redundant standby routers and switches. When the primary path is unavailable, the alternate path can be instantly deployed to ensure minimal downtime and continuity of network services. On occasion, websites can be come a victim of their own success when experiencing capacity issues. If a site receives too much traffic at once, the server will not be able to handle all requests and will fail for all users. To prevent this, you must first understand the peak capacity of the site where the traffic will be rerouted to and the peak capacity coming from the site which has failed. The network should be able to accommodate both peak capacities, and then an additional 40%. There must also be clear processes in place for informing customers, suppliers and employees when this occurs. As companies grow, they become targets for hackers. Some hackers break in simply to show that they can, however the majority do so to cause damage. It is vital to keep on top of security measures for all network areas and any backup websites are securely protected. Many businesses pay ‘hackers’ known as penetration testers to expose flaws in their security, so they can make this more secure in future. There are many different scenarios to be considered when creating a BC/DR plan, however it is key to remember that these are tested on a regular basis and refined to ensure that the plan you have in place and the solutions you have chosen will work in the event of a disaster. MPLS is a method used for speeding up connectivity, bypassing information and data across a network based on short path labels, which allow for data to be passed faster and more effectively on your network and allow service providers to decide the most effective way for website traffic to flow, avoiding server overload and bottlenecks. MPLS is a secure private network accessible only by your business, drastically reducing the risk of outside interference. While MPLS is slowly being replaced by SD-WAN, There are still many businesses that it is not suitable for yet. For those businesses, MPLS offers a robust solution for BC/DR plans. WAN’s connect several LAN’s together over long distances (such as a large company with multiple sites and a head office). LAN’s (local area networking) refer to a network of devices across a single location (a school for example). While WAN’s have some vulnerabilities, there are a number of options available to make your WAN more resilient with a WOC (WAN optimisation controller). A WOC acts as a load balancer and fail over, which creates a backup connection while simultaneously giving more visibility of performance. By diversifying links, you can greatly reduce downtime should an issue arise, giving you consistency and peace of mind. A WAN link controller can immediately detect failures and automatically switch to an available channel. Beyond a WOC, 3G and 4G data services provide a cost-effective disaster recovery backup but can suffer from congestion. Many companies are finding that WAN’s are not meeting their needs due to the inability to perform at the required levels as the business grows. SD-WAN virtualises the WAN, bringing connectivity into the cloud. It automatically and continually reconfigures the network paths to account for changes in traffic, brownouts, and blackouts; utilizing the full capacity of the bandwidth. Additionally, you aren’t reliant upon fixed circuits and hardware which saves on upkeep costs, freeing you from scalability constraints, and allowing sites to go-live instantly as businesses grow. Click here to find out how to determine whether SD-WAN is right for your business. MySolar aids your business continuity by giving you the ability to delve into your account, understand key elements of it, and make changes which mitigate the risk of an issue spreading. By having the ability to regularly monitor your account you will be able to see trends and patterns emerging, as well ao s having a central touch point for all your support enquiries. This means that over time, you will be able to understand what is normal and potentially draw resolutions to issues internally by making the most of the knowledge base from previously raised tickets. To learn more about protecting your company from potential threats and hazards, read our ultimate guide to business continuity and disaster recovery planning, register for MySolar or get in touch with an expert today. We help you by not only providing connectivity solutions, but also performing security assessments, improving your day to day business communications and creating a plan B safety net for your business.